posted February 19, 2019 in THON 2019 by Leeann Stapleton. posted February 19, 2019 in THON 2019 by Steph Krane. 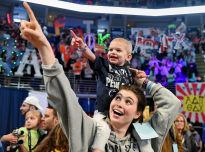 Story/Video posted February 17, 2019 in THON 2019 by Centre County Report, Caroline Pimentel . Story/Video posted February 17, 2019 in THON 2019 by Centre County Report. Story posted February 17, 2019 in THON 2019 by Belisario College of Communications. Photo posted February 17, 2019 in THON 2019 by CommMedia. 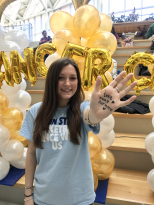 Story/Video posted February 16, 2019 in THON 2019 by Centre County Report, Haley Brown. Story/Video posted February 16, 2019 in THON 2019 by Centre County Report, Maddie Biertempfel. 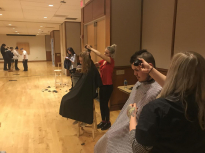 Video posted February 16, 2019 in THON 2019 by Centre County Report, Haley Brown. 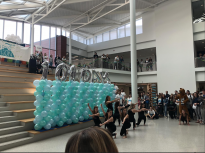 Story posted February 14, 2019 in THON 2019 by Imogen Corker. Story posted February 7, 2019 in THON 2019 by Sebastien Kraft. 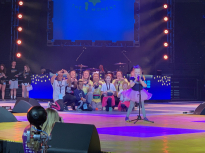 Story posted February 5, 2019 in THON 2019 by Erin Alessandroni . Video posted December 3, 2018 in THON 2019 by Centre County Report, Claire Going. 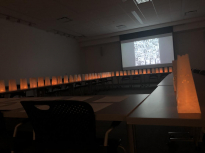 Story posted November 11, 2018 in THON 2019 by Rachel Darata. Story posted September 17, 2018 in THON 2019 by Mia Melchior.